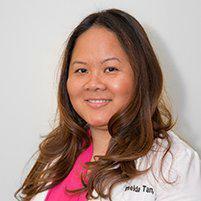 Dr. Imelda Tan, PT, DPT, CES is recognized as a skilled New York City physical therapist, providing patients in Midtown East and throughout Manhattan with the care and treatment they need to help resolve neck pain and improve pain-free range of motion. Neck pain can be caused by an array of factors, including medical conditions like spinal stenosis, herniated discs, arthritis or other types of cervical disc disease, as well as lifestyle factors like poor posture and personal and work-related habits. To determine the cause of your neck pain, you may need to have diagnostic imaging including x-rays, CT scans or MRIs in addition to a complete evaluation of your physical symptoms. How can Dr. Imelda Tan, PT, DPT, CES help relieve my neck pain? Imelda is skilled in managing chronic and acute neck pain using advanced techniques aimed at reducing pressure and strain on the spine and other structures while providing relief from painful symptoms. Once the cause of your neck pain has been identified, she will develop a series of physical therapy activities to reduce strain and stress and build up strength in the muscles that support your neck. She'll also help you learn how to improve your posture while sitting, standing or performing other activities and to regain a healthy and pain-free range of motion. What can I do to prevent neck pain on my own? Imelda will provide you with instructions on strengthening exercises and stretches you can do on your own to help promote circulation and reduce pain. Practicing good posture is another very important thing you can dp to keep neck pain at bay. Sitting up straight ensures your spine is properly supported by your muscles, reducing strain that can cause inflammation. It's also important to make sure your mattress and pillow are supportive, and avoid habits like carrying a heavy laptop bag or backpack or sitting hunched over a computer or smartphone for hours every day.